St Patrick's Day has a special place in my heart because it's the day of my wedding anniversary. And no. I am not Irish and neither is my husband. We picked the date and then we realized it was St Patty's Day, which ended up working out because it makes it really easy for my husband to remember our anniversary. So what are you doing this St Patty's Day? Do you have any traditions? 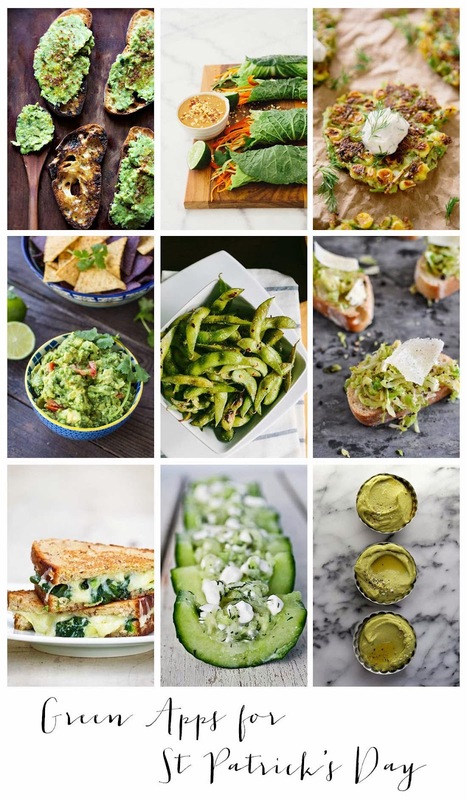 If you are hosting a party, here is a thought: what if you only served green foods. Here are 9 yummy apps to get you started. You could also do green drinks and desserts. Oh the possibilities.